Having worked with, and fostered many a wonderful Rescue Border Collie (including BuzzSaw herself), we encourage anybody considering a Border Collie to seriously look into adopting. There are so many wonderful Border Collies needing love and ready to give their all to a family! While we are supportive of Border Collie Rescues and the dedicated people who run them, please understand that we have not actually had personal experience with all of the Rescue groups listed. With each, you need to ask lots of questions, and verify answers you receive. "Save That Dog" is a book I have found useful that gives some tremendous information about the world of Dog rescue, whether you are looking to adopt, relinquish, or join a group. Our mission is to rescue, rehabilitate and re-home Border Collies that have been abandoned, neglected or are no longer able to remain in their current home (as space permits). WBCR works hard to place adoptable dogs into appropriate forever homes, making the best match possible between the dog and the adopter(s), and also works to educate the public on the characteristics and needs of Border Collies. Owning a pet is a responsibility to be taken seriously. Most of the dogs that come into rescue have not had an easy time in life. We feel we owe it to the dogs to find the happiest home we possibly can for them. All Border Collie Rescue is a not for profit volunteer rescue organization dedicated to the rescue of border collies. This passionate group of Border Collie lovers have had the good fortune of meeting and befriending each other through past rescue work. Some of our volunteers are new to working with border collies, while some possess over a decade of experience with border collies. 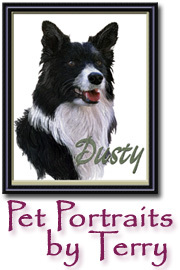 We work extensively with many other border collie and all breed rescues. ARM-BCR is an all volunteer organization working in Southern Michigan. Our purpose is to help find good homes for Border Collies and Border Collie/Mixes as well as to provide a easily accessable resource for people wishing to contact or adopt rescue animals from the many independant rescuers in the State of Michigan. AMBCRC is a group of independent BC rescuers with similar policies and philosophies regarding the rescue and placement of abandoned or surrendered Border Collies in appropriate new homes. We are located throughout the Appalachian Mountain region in Virginia, Georgia, Tennessee and Alabama. The purpose and main function of Arizona Border Collie Rescue (ABCR) is to promote humane treatment through rescue, rehabilitation, education and the re-homing of neglected, abandoned and unwanted border collies. Described below are our functions and activities as a rescue organization. These are all projects and endeavors that we are presently engaging in and that can and will be expanded on in the future. Our rescue efforts are dedicated to Australian Shepherds and Border Collies. These herding dogs are adorable puppies and often misunderstood adults. These intelligent dogs are bred to problem solve. They require some sort of job or mental stimulation. Lack of breed knowledge lands several in shelters daily. Many shelters must euthanize good dogs to make room for the many strays and dogs surrendered by their owners. Our primary service area includes northern Nevada and the Sierra Foothills of California. Atlantic Region Central Border Collie Rescue, Inc.
(ARCBCR) is a nonprofit Border Collie rescue organization with headquarters in Richmond, Virginia and Central Maryland. We work with Border Collies and Border Collie mixes. Bimmer's Border Collie Rescue is made up of a small group of volunteers dedicated to finding homes for border collies in need. Our dogs are all in foster homes, there is no main shelter facility. We care deeply for this breed and want to help the border collies we rescue find permanent, loving homes. Blue Ridge Border Collie Rescue is dedicated to finding good homes for deserving Border Collies; Giving them another chance. Carolina/Borderline/Mid-Atlantic BCR, located along the WV-S. VA Highway 81 area. Border Collie Rescue, Australia, is a network of contacts who give of their time, abilities and homes, to enable locating, fostering, evaluating and if possible rehoming abandoned, lost, mistreated or unwanted border collies. We are a non profit volunteer based organization dedicated to the welfare of the Border Collie. We depend on donations, adoption fees and fundraising to provide for the dogs in our foster care. Our organization is dedicated to all aspects of border collie welfare. We facilitate education, referral and training of both border collies and those who care for them. In addition, we provide temporary foster care for homeless border collies when our resources allow. We are an all volunteer organization, which depends on public support for our goal to enhance the lives of border collies and their humans. We at BCR-CA have a dream where no Border Collie goes unwanted and it is our goal to help Border Collies in need, to serve as a resource in rescuing and placing dogs, offering advice, and being a touch-point for this amazing breed. 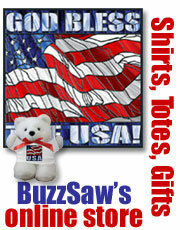 BCResTX is a volunteer non-profit organization which accepts Border Collies from owners, shelters, and other rescuers. Our mission is to open our hearts, lives and homes to ensure the safety of Border Collies and to rescue unwanted, abused, lost and abandoned Border Collies; assess their place-ability, make the best possible match into proper and permanent homes; and to provide care and continuous training information with each Border Collie we place. The trust is a Registered Charity which relies onPublick support to assist Border collies in the UK. We are dedicated to finding good homes for deserving Border Collies... giving them another chance in Tiffin in northwest Ohio. We are a small family run rescue in southwest Michigan. We strive to educate the public on the importance of spaying and neutering pets and also educating on the border collie breed. 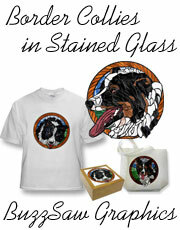 We take in border collies and their mixes that can no longer stay in their homes and find new forever homes for them. Promote public awareness of the Border Collie as a working breed, and provide a counseling/referral service to Border Collie owners. Come Bye Border Collie Rescue! Come Bye Border Collie Rescue serves Illinois, Indiana, Kentucky, Michigan, Missouri, Ohio and Wisconsin. Originally incorporated as Animal Protective Association of Southern Illinois, the rescue is committed to rescue and rehome Border Collies and Border Collie mixes throughout the Midwest. We are a 501(c)(3) non-profit organization serving the Midwest states. To rescue and rehabilitate Border Collies that have been abused, abandoned, neglected, or placed in a situation where it is no longer appropriate that they stay in their present home. Even if you are not in their New York area, you really need to explore this site, I don't know how they do it all! 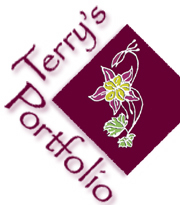 Serving Michigan, Upper Peninsula, Illinois, Indiana, Wisconsin, SW Ontario. Indian Summers Rescue is a "BORDER COLLIE BREED RESCUE" located just east of Canton, Ohio and managed by Dr. Victoria Summers who also runs a Safe Haven Shelter for those "Special Need" Border Collies who make up The Summers BC Gang. These "Special" individuals are in need of long term medical help. If you would like to sponsor one of The Summers BC Gang please email for more details. Whether you seek a potential agility or flyball champ, a herding or working dog, or just a loving active companion, we would like to work with you to find the right match. Our dogs are our priority and we match them with the family that is going to meet every need...not just some, but all. 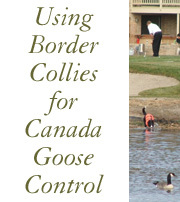 MWBCR will open our hearts, lives and homes to ensure the safety of Border Collies. We strive to provide quality care and shelter for the abused, unwanted and abandoned Border Collie until a proper and permanent home can be found. Our goal at Mo-Kan Border Collie Rescue is to take in abandoned and unwanted Border Collies and place them in appropriate, permanent loving homes. We rescue Border Collies that are surrendered to shelters, picked up as strays, or relinquished by those who can no longer care for them. Because of space and funding limitations, most shelters euthanize these dogs if they are not adopted within a short time. However, we will take owner surrenders if space is available. New England Border Collie Rescue, Inc. (NEBCR) is a group of volunteers working to find homes for stray, abandoned or unwanted Border Collies. Our coverage area includes the New England states of Massachusetts, Connecticut, Rhode Island, Maine, New Hampshire and Vermont, as well as Eastern New York State and Northern New Jersey. We are a group of dedicated volunteers committed to the rescue of dogs from crisis situations. Some of these situations include euthanasia by animal shelters, neglect and other forms of abuse, potential use in research laboratory testing, or use as bait for the training of fighting dogs. NBCR&P works primarily with herding breeds. (NBCR) is an all-volunteer rescue group covering eastern Mass (including Cape Cod), RI, a small portion of eastern New Hampshire and Maine. Our volunteers have many years of experience living with and loving Border Collies. We know first hand the Border Collie's special qualities, quirks and needs which often times can make them inappropriate as family pets. The volunteers affiliated with the Ontario Border Collie Rescue Network try, to the best of their ability and resources, to rescue and rehome Border Collies in need. Pacific Northwest Border Collie Rescue is more of a "what" than a "who". The "we" is a group of select individuals with a common goal: the placement of well-tempered border collies into good homes. The "what" is this web site. 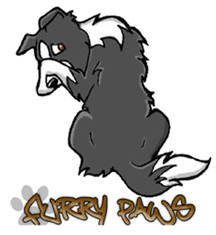 We are a small volunteer-staffed group dedicated to finding new permanent, loving homes for border collies in need, and also in educating the public about the nature of the breed, so that rescue will be less necessary in the future. We mainly service South Carolina but as resources allow, can rescue and place dogs in adjoining areas of North Carolina and Georgia. We are registered with the state of South Carolina as a charitable organization and we are a 501(c)(3) charitable organization. Ravensgate has an adoption application and agreement. Interview and home visit required. Dogs too young for spay/neuter require additional refundable deposit. Gauteng Border Collie Rescue attempts to address the problem of abandoned Border Collies in the following ways: By educating the public about the breed; By finding adoptive homes for abandoned and improperly placed dogs; By rehabilitating abused Border Collies By raising funds to cover the costs of sterilization of dogs, advertising, kenneling fees, transport; phone bills and veterinary fees. Border Collie Rescue also provides an invaluable service to many Border Collie owners who, through no fault of their own, can no longer care for their dog. South African Border Collie Rescue organisation (Gauteng). We take the unwanted, the homeless, the abused and neglected, and give them a Second Chance at having a good life. 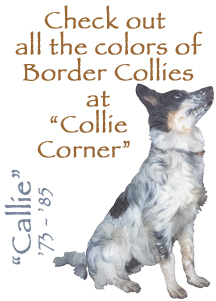 We also make it our goal to educate the public on Border Collies - their care, and what makes them such special pets. In most cases, rescue may be the last option for a dog in a shelter or in an inappropriate situation. As a rescuer taking in only a very few dogs at any given time, I can evaluate, train and place a dog accordingly. I will also assist an individual in re-homing their dog to a more suitable environment. Skyway Border Collie Rescue, Inc. Rescue, Rehabilitate, Rehome, Palmetto, FL Our goal is to maintain a small rescue environment so that each dog gets the individual attention and training that it deserves. Our rescues are kept in our homes and treated as if they were our own, including veterinary care, premium nutrition, and lots of love. Border Collies are unlike any other breed and they require much of their owner's attention. When a dog comes in, he/she is evaluated for temperament and health. Our Border Collies are given basic obedience, socialization, and rehabilitation as needed. Once the dog has been evaluated it is our job to find that dog a forever home. All adopted dogs are spayed/neutered, up to date on shots, heartworm negative, micro-chipped, and on flea and tick preventative as well as heartworm preventative. Our cornerstone is the knowledge that Border Collies are not the breed for everyone. From that, we have built working relationships with area shelters for breed recognition and the realization that this breed requires a carefully screened home. Starfish Border Collie Rescue, Inc., is a small, independen rescue group based in Vero Beach, Florida, though we use foster homes throughout south and central Florida. We typically only have a few rescues in our program at one time. This allows us to focus on the individual needs of the rescue dog so that they can find their perfect forever family. We can also help you to rehome your Border Collie, if necessary. 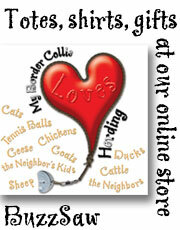 West Tennessee Border Collie Rescue was founded to fill a need in our community to rescue Border Collies. We adopt Border Collies from local shelters in the tri-state areas. Some are owner surrendered or picked up from the streets. We look for a forever home for these Border Collies. WBCR is the effort of a dedicated group of individuals who love the breed and are concerned about the growing number of unwanted Border Collies with in the midwest. What is Furry Paws? 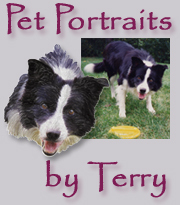 Furry-Paws is the creation of a very dear friend of Hardey Border Collies. It's a virtual dog game where you can raise, train, play with, feed, and show virtual dogs. They have over 190 breeds and counting, and 15 dog sports. So go ahead, sign up today if you haven't already. Kids and adults from around the world set up their kennels, raise, train and feed their dogs. When a dog is ready, they can compete in a wide variety of dog sports. This game teaches responsibility, and is strictly monitored to keep it kid safe. The participants help with the monitoring, and infractions are dealt with quickly. I'm not active now, but while I spent a couple of years convalescing, I found it to be a wonderful diversion. Player #235, BuzzSaw. Pam Nickoles Photography provides quality photographs for your Fine Art, stock, advertising and web media needs ranging from western lifestyle and landscape scenics to images of travel destinations, wild horses and wildlife. 303.919.6807 Denver Macintosh is the place where any and all Mac Users get quality services—fast, friendly, and affordable. From large companies to individual home users, we’ve been keeping people and their Macs happy for over 16 years. 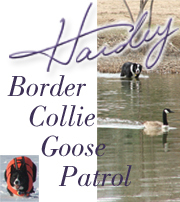 Hardey Border Collies and all of our art work is created on Macintosh computers, usually pushing the envelope way to far. Gary O of Denver Macintosh is the guy who keeps us up and running, often able to talk me through things from afar. The American Herding Breed Association The American Herding Breed Association was founded in 1986 in response to the increasing interest in herding activities by owners of a wide variety of breeds. The AHBA was set up to help provide information in response to inquiries from those interested in herding and the herding breeds. The focus of the AHBA program is on practical herding work. While recognizing that many individuals will not be in a position to use their dogs daily in practical work, the AHBA desires nonetheless that herding be taken seriously and does not desire that it be viewed as a casual hobby. The AHBA has an interest in all aspects of herding and the herding breeds, and the investigation of canine behaviors which relate to herding ability. Border Collie Rescue Organizations from around the world. 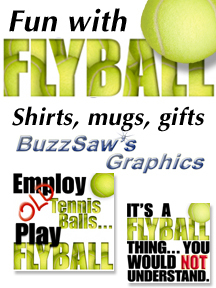 Please note, the images you find throughout BuzzSaw's Border Collie Graphics and Store are the product of long hours and hard work. I hope you enjoy the fruits of my labor and am delighted that you have visited. However, please note, that just because you have found these images on the Web do not construe that they are public domain. Please respect copyright laws. If nothing else, respect my right to the fruits of my labor. Thank you!